Zheng De is from Guanzhong Village, Dongchuan District of Kunming City, capital of southwest China’s Yunnan province. At the beginning of this year, he made a new decision—inviting foreign painters to create a mural on the wall of his house. Actually, this idea comes from Sun Haiping, the first Party Secretary of the working team to Guangzhong Village, which helps the local fight against poverty. Since Sun shouldered the poverty alleviation task in 2017, he has been attracted by the amazing scenery there. The lucid waters and lush mountains arouse his panting interests. 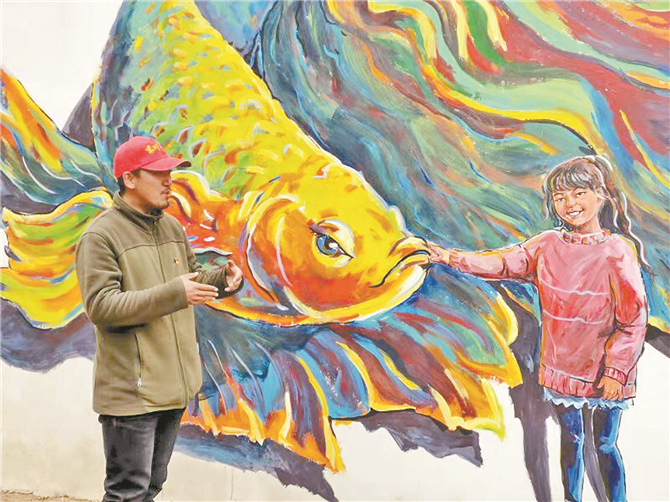 At the end of 2017, Sun invited Lai Weiquan, a Malaysian painting master to draw the first mural in Guanzhong, which was named “Towards a new life”. 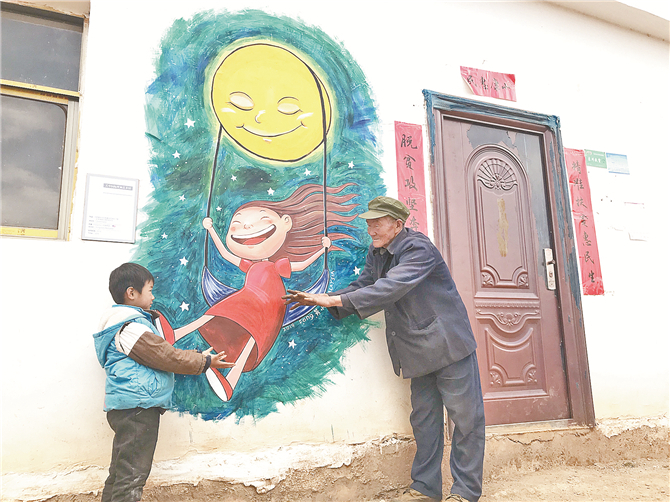 In March 2018, Lai came to the village again and created a new painting “My childhood”. 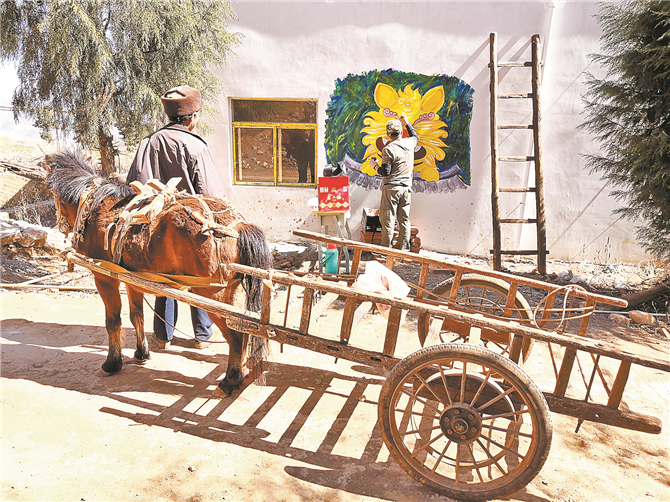 During the Spring Festival of this year, Lai Weiquan came to the village with another painter Lu Fangzhou. Both of them share the similar painting style which perfectly matches the view of the village. This time, ten murals were painted. These efforts are bringing more tourists to the village for taking photos.